The search for this year’s best HDTV was recently held at Value Electronics in Scarsdale, NY. The two day event does a side by side comparison to find the best HDTV on the market among the current crop of LEDs and plasmas. Each HDTV is set up by a professional calibrator to produce its best possible picture. 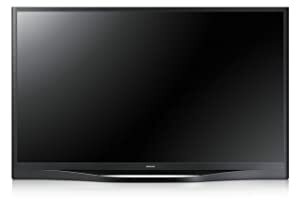 While there were three HDTVs in close contention, the Samsung F8500 Plasma was crowned the “King of HDTV” by the voting public present. Panasonic’s VT60 and ZT60 plasmas scored a close second. Once again, the best LED/LCD models were not in contention with the plasmas. The professional HDTV calibrators, who tuned the sets, did express a personal preference for the Panasonic plasmas because of the deep blacks demonstrated. Other reviewers such as CNET also prefer the Panasonics but this may have been before Samsung’s firmware update for the F8500 which addressed several picture quality issues. However, the experts did say that the choice depends on the lighting conditions of your viewing room and your personal viewing habits. The Panasonics work best in a light-controlled room or to put it another way, a room without sunlight coming in. The Samsung seems to be the set for those of us without a dedicated home theater room. Its brighter picture is better suited to handling a room where light can come in. If you do most of your TV viewing during the day in a room where lots of light comes in, you may want to consider a LED or LCD set instead. Value Electronics has published a scorecard of how each HDTV performed in each category. The reviewers did look at other factors as well. As an example, the Samsung also exhibited better 3D performance and SD upscaling. Follow the video link below to get more detail. Finally, if you’re interested in learning more about HDTV picture quality and what distinguishes sets from one another, I strongly recommend that you watch the video from the shoot out (unfortunately, I don’t see the second day’s video posted). During the presentation, the HDTV experts cover a lot of the settings on a TV and what they do. For example, when and why you should turn settings such as overscan and noise reduction off. The other interesting tidbit covered in the video was the difference in picture quality between a studio master, a Blu-ray and Internet streaming video at 1080P. While you won’t be able see it the quality difference in the clip, it turns out that Blu-ray is very close in quality to the studio master. On the other hand, there is a noticeable drop off in quality between a 1080P Blu-ray and streaming video. There’s limits to what compression technology can do. To wrap up, remember these are the best HDTVs on the market. You can still get an amazing picture from lower tier models. For example, Panasonic’s ST60 Plasma also has an amazing picture for half the cost. The differences here are mostly incremental. It’s also amazing that the best picture out there, the Samsung F8500 51″ is available for under $2,000. My only wish is that Samsung offered a 55″ version (there are 60″ and 64″ versions). If for some reason, my current 50″ LCD gives out this year, I’m sure I’ll find a way to cope with the 51″ Samsung. Update: Panasonic has announced the availability of the ZT60 plasma. From now till July 31st, it will be exclusively available at Best Buy Magnolia stores. The 65″ is retailing for $4,100 while the 60″ is at $3500. All Hail the 2013 HDTV Champ!